1.Adopt advanced MCU microprocessor control technology. 2.12v/24v self detect to choose output voltage. 3. Advanced MPPT technology ,High converting efficiency higher than 97% for minimizing energy loss. 5.capable of connecting additional DC load for wide applications. 6.Three stage charge control system(bulk , absorption, and float mode)with optional temperature compensation. 7.LED indicators display charge status in real time. 8.Pulse Width Modulation(PWM)technology combined with a multi-stage charge control algorithm leads to superior charging and enhanced battery performances. Solar MPPT controller is mainly used for solar power station ,home solar power system, solar street light control system, mobile solar power system, DC wind solar generating system. Solar controllers is divided into ordinary solar controller, PWM solar controller and MPPT solar controller. 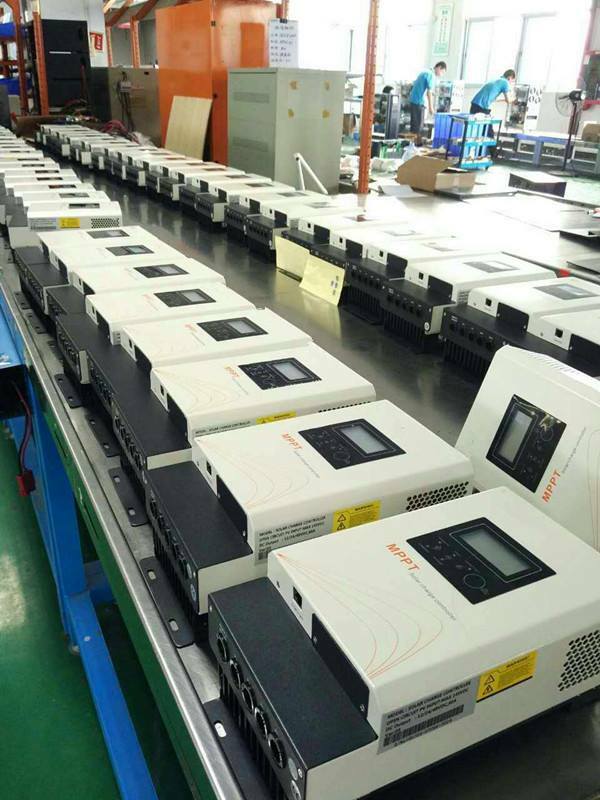 Ordinary solar controller use the first generation technology, the working principle is directly to the output of solar panels to hang the battery port, when the battery is disconnected after sufficient reason, because the internal resistance of battery, it is difficult to charge batteries and solar panels is not fully utilized to MPPT tracking efficiency is only 70 ~ 76%, has been out of the market, basically very few people use. PWM solar controller using second generation technology, is the most popoluar type on the market , work is the use of PWM control, compared with the ordinary solar controller, has a lot of progress, can solve the problem of MPPT battery charging dissatisfaction, tracking efficiency is 75 ~ 80%, but the solar panels are not fully utilized. 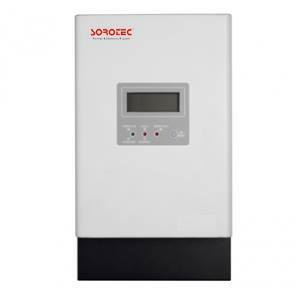 Solar MPPT charge controller uses the third generation technology, the most high-end solar controller. Solar MPPT charge controller, refers to the solar controller the with the function of “maximum power point tracking”, is the upgrading products of the PWM solar controller. Solar MPPT controller can detect solar panel voltage and current, and keep track of the maximum power (P=U*I), the system has always been the greatest power to charge the battery, the MPPT tracking efficiency is 99%, the power efficiency of the whole system reached 97%, and has good management of battery, divided into MPPT, constant voltage charging and constant voltage charging are floating charge. With the advancement of technology and energy conservation, the trend of solar MPPT controller to replace the traditional PWM solar controller is irreversible.